by Jane Chuck. : Lovin’ YADAH Bubble Deep Cleanser & Oh My Sun Block! 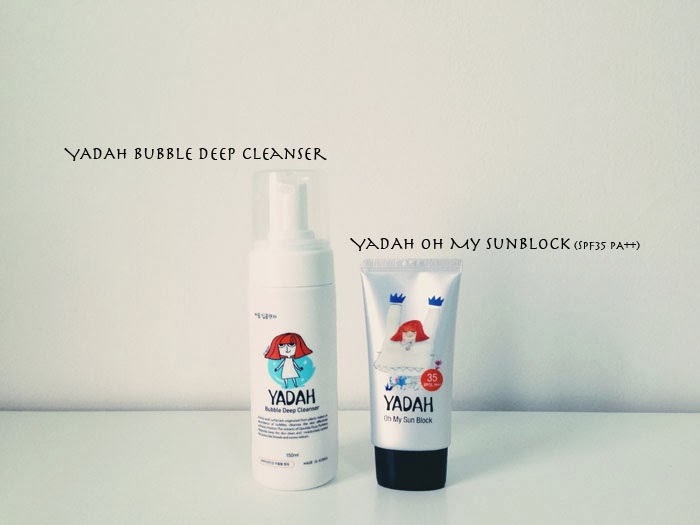 Lovin’ YADAH Bubble Deep Cleanser & Oh My Sun Block! It's been a while since I have done a skin care review for you guys. I miss being a blogger, like a blogging-blogger. It's a shame to say that I'm a blogger when my blog is literally dying :'( I got to get back that blogging mood, the passion that I used to have (but first I have to get a new camera :/). So yes, 2014 major resolution will be GETTING BACK THE PASSION. Today is all about testing out and reviewing the new products I got from YADAH at SASA. Bubble Deep Cleanser and Oh My Sun Block! Since the products are made with natural ingredients, I decided to give it a try. 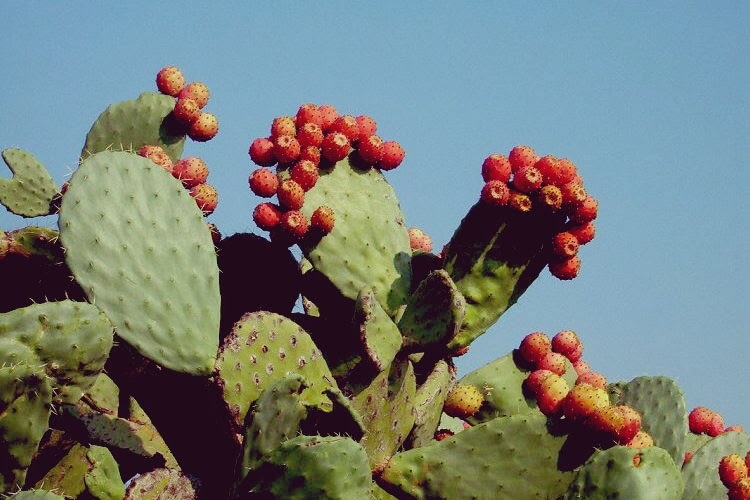 You may have heard of YADAH, but do you know that the native Opuntia Ficus extract (cactus plant) is the key ingredient found in all YADAH products? I didn't know until I just did a lil research on YADAH. This brand is from Korea and the products are known to be gentle to skin yet effective. Opuntia Ficus is known for its strong anti-inflammatory and high potent antioxidant properties which help neutralise free radicals harmful to the skin. BIG YES TO HIGH ANTIOXIDANT!!! Since cactus can survive under harsh weathers like the scorching hot sun and cold winter, I believe this ingredient do contain some good properties for the skin. I'll start off with YADAH Bubble Deep Cleanser. If you are looking for a good cleanser that is moisturising and cleans well, you can give this brand a try. First thought after pumping out the bubbles, the texture of the bubbles are not too stiff so it means it's very moisturizing, unlike most bubble cleansers they usually leave skin very dry. This Bubble Deep Cleanser contains 99% pure and natural plant extracts and also amino acid surfactants + vitamins, definitely suitable for sensitive skin. 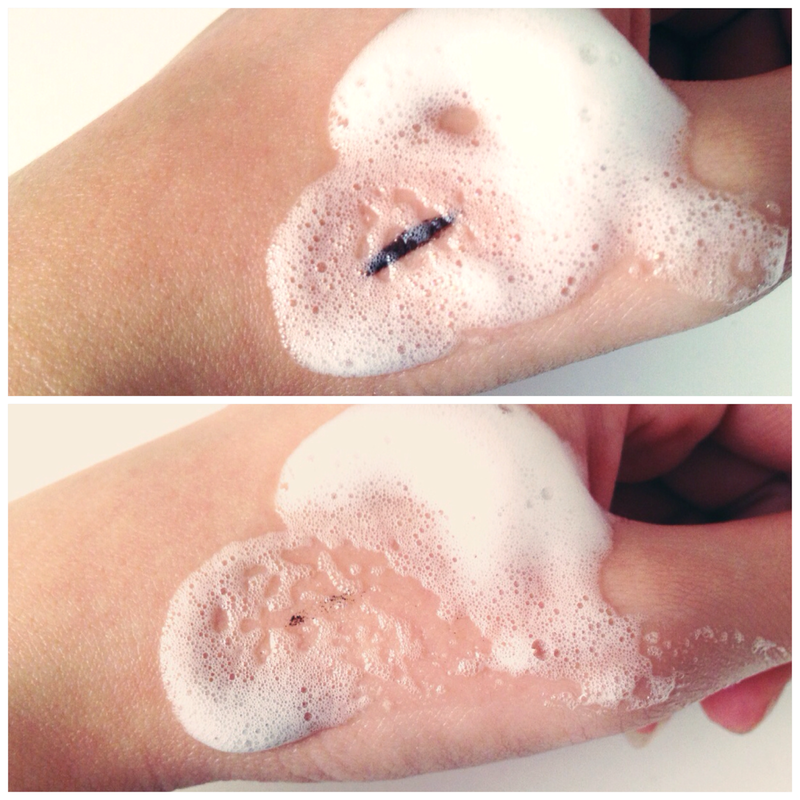 The bubbles work very well in cleansing away dirt and excess sebum including my makeup from my skin. Just gently massage onto your skin for 1-2 minutes and wash it off with water. Let’s move on to YADAH Oh My Sun Block with SPF35 PA++. YADAH Oh My Sun Block is described as a “colourless and highly moisturizing sun block that offers high-level protection against harmful UVA and UVB rays.” Natural ingredients include Aloe Vera, Chamomile and Lavender. Free from 8 harmful chemical ingredients: Paraben, Benzophenone, Talc, Mineral Oil, Sulfate Surfactant, Propylene Glycol, Tar Colorant, Triethanolamine. After toner, apply sun block evenly on your face before a foundation. Happy to highlight that this product is not sticky and oily at all. It applies easily on skin and does not have that ‘sun block feel’ as it is very lightweight. I love its texture, consistency, and finish. I'm very picky when it comes to sun block, whenever I try any sun block product that makes my skin feels clogged and oily, I'll take it off from my sun block list, literally throw it away even if I have only used it once or twice. I love how YADAH Oh My Sun Block doesn’t clog my pores. It gives a moisturizing effect with a matte finish instead of just a normal sun block product. Also, this sun block is colourless so no makeup remover is needed (but you still have to cleanse your face no matter what) Big plus plus for this product! Brush up the eyebrows and apply color lip balm, and I'm ready to go out! Tips for healthy skin, always remember to cleanse your face well and apply sun block everyday!!! Overall, I find these two products quite good to use and worth a try. Both YADAH Bubble Deep Cleanser 150ml & YADAH Oh My Sun Block 50ml are priced at RM49, available in most SASA stores. Hi have u ever buy products from ibuybeauty?